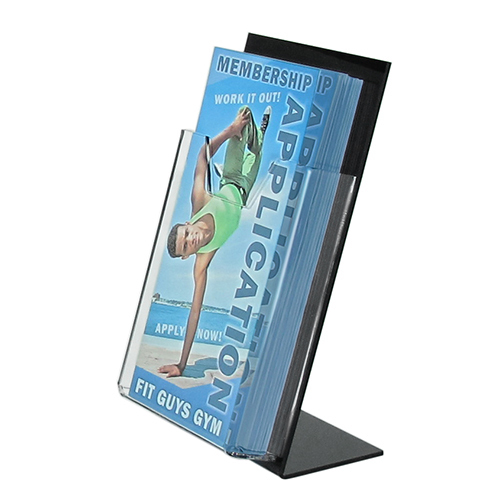 Leaflet dispensers (brochure holders) to suspend, fix to panels or walls, or to stand on table or desk tops. 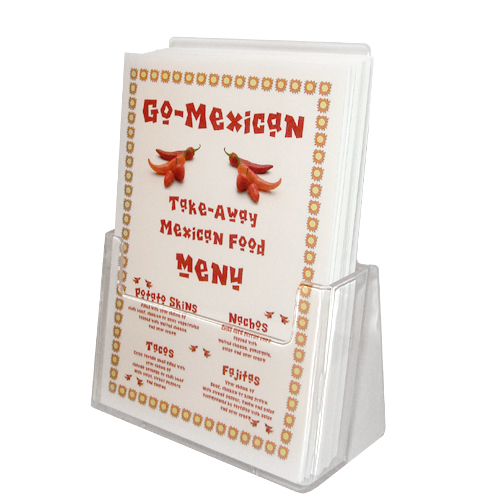 Leaflet dispensers (brochure holders) to stand on a desk, counter or table-top. Many standard options to choose from, or we can make your bespoke design to order in acrylic. 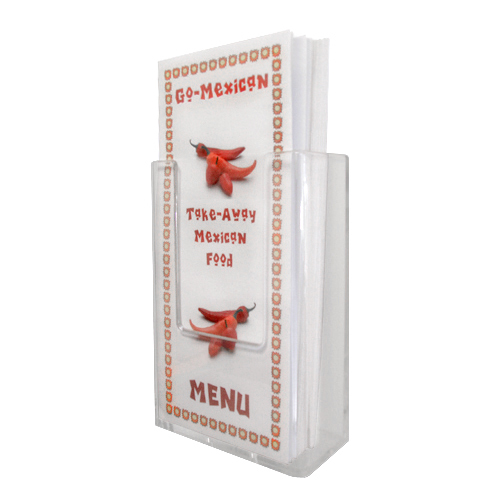 Leaflet dispensers (brochure holders) to use with clamps (wire, bar or wall clamps). Many standard options to choose from, or we can make your bespoke design to order in acrylic. 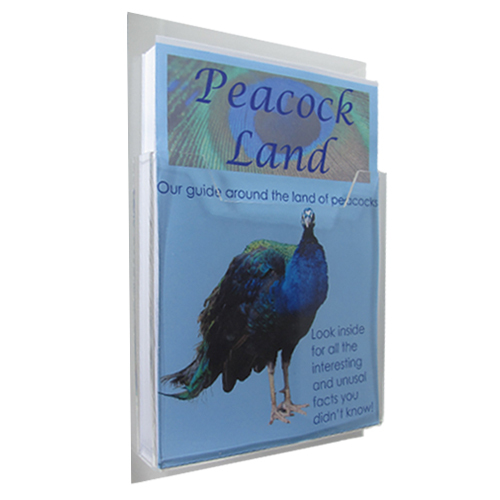 Leaflet dispensers (brochure holders) to fix to a panel or wall. Many standard options to choose from, or we can make your bespoke design to order in acrylic.